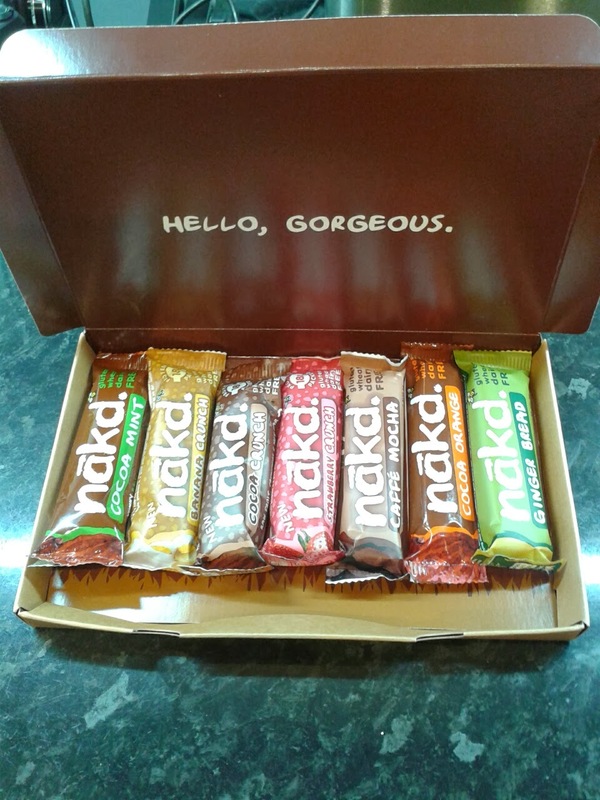 The arrival of a box of lovely Nakd snack bars for us to try was extremely timely. Having just lapsed in the ways of confectionery over the weekend, viz one Twix and one Kinder Bueno whilst stranded at Hereford Railway Station (don’t ask) and having left The Husband in charge of the snack cupboard (or as the Domestic Goddess Nigella Lawson herself, would refer to it “The Gillian McKeith“, far too much fat and sugar was consumed by us all. The Nakd range of snack bars (made by Natural Balance Foods) includes Cocoa Mint, Banana Crunch, Cocoa Crunch, Strawberry Crunch, Caffe Mocha, Ginger Bread and Cocoa Orange. Their ingredients are fruit, such as dates, nuts, such as cashews, fruit juice to bind and the odd touch of natural flavouring, e.g. natural mint and chocolate in the Cocoa Mint bar. 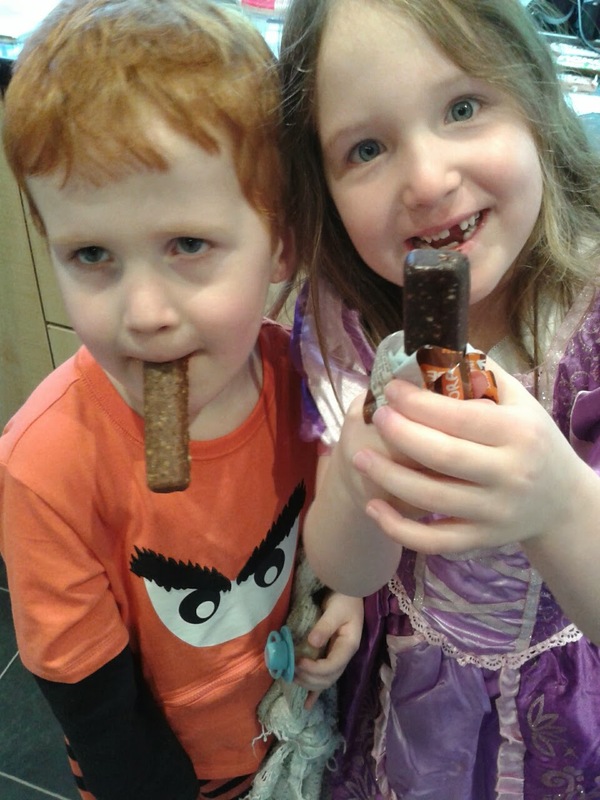 The bars are 100% natural, gluten, wheat and dairy free and suitable for vegetarians and vegans. They are also an excellent source of protein, as much as 18% in the case of some of the bars, such as the Banana Crunch bar. In terms of calories, for example, the Banana Crunch bar is 108 calories and the Cocoa Orange bar is 145 calories. Much better than, say a four finger KitKat which weighs in at around 233 calories. This makes a Nakd bar a much healthier choice. The acid test was to employ the kids as taste testers. As I’m sure you know, kids are brutally honest about what they do and don’t like and both of them made short work of their bars. The Husband and I tested Cocoa Mint which was rich with dates and cashews and had a lovely fresh mint flavour. Nakd snack bars are ideal for lunchboxes and keeping at the bottom of your handbag for bribery purposes when your children decide to have a monumental melt-down in the middle of John Lewis, or from keeping you away from the overpriced confectionery stand in your local train station! Further information about Nakd snack bars and other healthy products can be found at www.naturalbalancefoods.co.uk. *PR samples were sent for the purposes of this post. "I’ve Been A Bit Distracted By … Fat Face – 04/11/13"
They sound tasty and I'm going to try them for my kids.